Several leading human rights organizations are unhappy that Norway’s Crown Prince Haakon plans to visit Azerbaijan early next month, part of a Foreign Ministry-arranged trip to take part in a large oil and gas conference. They’re calling on him to cancel the trip, because of corruption and human rights abuses in the country. Engesland told NRK that Azerbaijan’s authorities are “corrupt” and known for “skimming off oil profits” for their own benefit. Human rights abuses are rampant, he said. 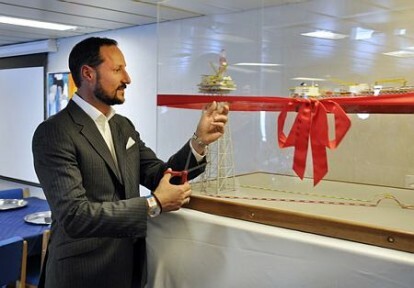 Both the Human Rights House Foundation and the Rafto Fundation, which awards the prestigious Rafto Prize to champions of human rights every year, have joined the Helsinki Committee in writing a letter (external link) to Crown Prince Haakon in which they asked that he cancel his trip to the conference that begins on June 6 in Azerbaijan’s capital of Baku. They contend Azerbaijan’s regime is one of the most oppressive in the world at present. They have no objections to government politicians making the trip, saying that the planned presence of Oil and Energy Minister Ola Borten Moe and a state secretary in the foreign ministry, Espen Barth Eide, are “a natural part of the foreign policy and economic commitment that Norway’s political leadership has.” Such visits can, they believe, offer an opportunity to raise human rights issues with local authorities and express Norwegian views. They object to the attendance of Crown Prince Haakon, however, because they fear his presence will be “abused” by what they called “one of Europe’s last and most authoritarian” regimes. “The lack of freedom of expression and absence of balanced debate in Azerbaijan” may allow authorities there “to put forward their own version of Crown Prince Haakon’s reasons for coming to Baku,” Engesland said. The role of Norway’s royal family as a “non-political actor limits the Crown Prince’s opportunity to take part in the public exchange that could clarify the framework” for his visit, he wrote in the letter. Eide of the Norwegian Foreign Ministry stressed that Crown Prince Haakon’s participation had been “thoroughly evaluated,” and that he was traveling as the leader of Norway’s delegation to the conference. The goal, according to Eide, is to support Norwegian business interests in Azerbaijan, where Norway’s own oil and gas industry is involved, not least state oil company Statoil. 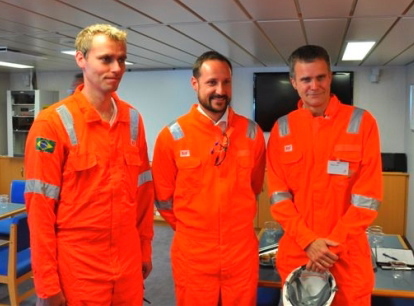 Eide claimed Crown Prince Haakon, who just returned from opening a Statoil-operated oil field off Brazil, would meet representatives of the “civil society” and highlight the role civilian organizations can play in a land. There was no immediate response to the human rights organizations’ request from the Royal Palace or Crown Prince Haakon himself. Azerbaijan is also due to host next year’s Eurovision Song Contest, after winning it earlier this month. There was no word whether the human rights organizations would also call on Norwegians to avoid Eurovision as well. Join our Readers’ Forum or comment below. To support our news service, please click the “Donate” button now.